Since 2013, the City of Auburn, Alabama, has been home to the U.S. residency program of both the Men’s and Women’s National Teams for the Olympic sport of team handball. The mission of USA Team Handball (USATH) is “to develop, promote, educate and grow the sport of Team Handball at all levels in the United States, and to enable United States athletes to achieve sustained competitive excellence to win medals in international and Olympic competition.” To fulfill that mission, USATH is working with the Auburn University School of Kinesiology to help support and grow the sport, focusing a lot of effort on youth grassroots programs. 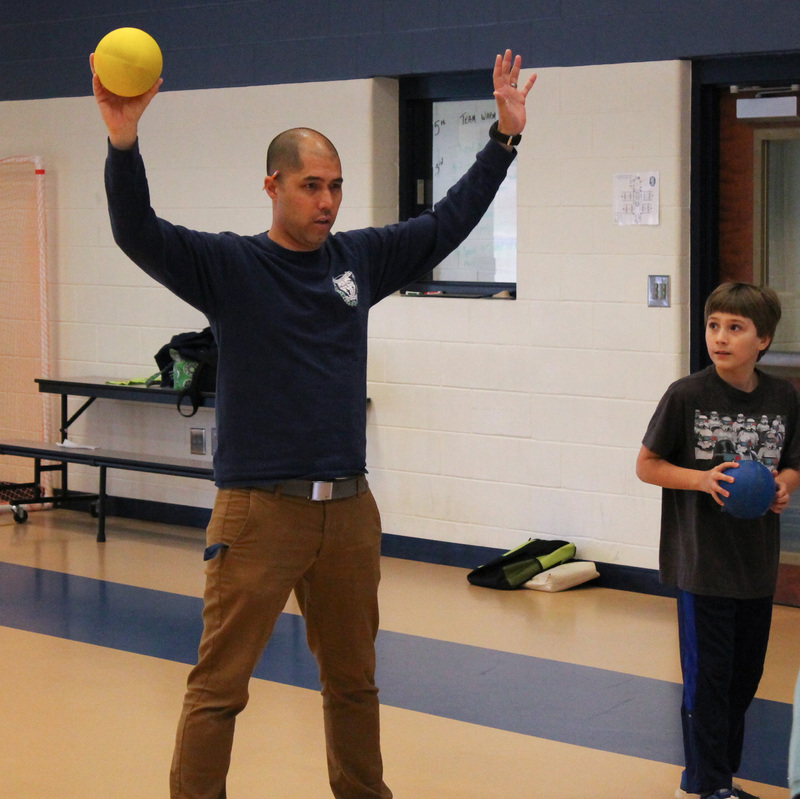 For the past seven years, Chuck Cooper, a physical education teacher at Pick Elementary School, has played a major role in this effort by getting the youth involved in a sport which they may never have tried before. Prior to working at Pick Elementary School, Cooper worked at Cary Woods Elementary School where he first started teaching handball to his fourth and fifth graders. He was introduced to the game of by one of his college professors, Dr. Peter Hastie, in the School of Kinesiology at Auburn University. 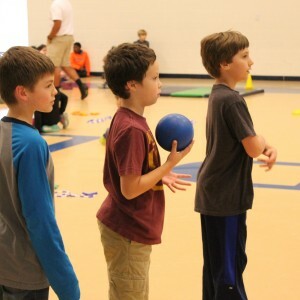 After testing it out with the fourth and fifth graders at Cary Woods Elementary nearly 10 years ago and seeing that they loved it, he started teaching it in all his physical education classes. It has been a part of his yearly curriculum ever since. 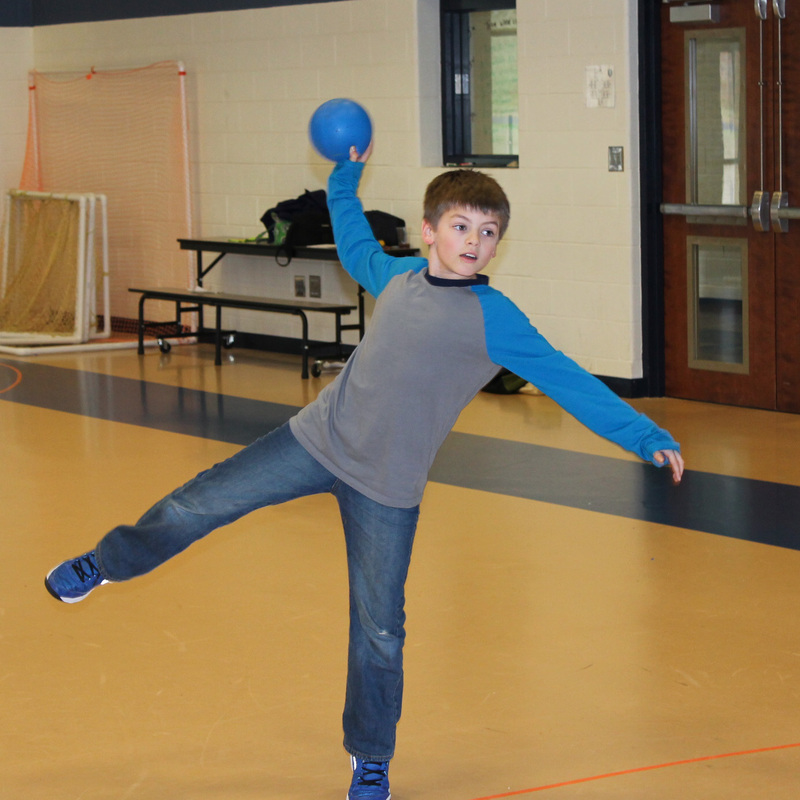 Last year Cooper started a Handball Club as part of the after-school program at Pick Elementary School, where students have the option of choosing one club to participate in every Tuesday from 2:30 to 3:30 p.m. He has 35 fourth and fifth graders who are a part of his club. Aside from starting the clock, he lets the kids run the entire club. Cooper believes this encourages them to truly want to play the sport of handball. This supports the vision of Reita Clanton, the Women’s National Team assistant coach and handball Olympian ’84, ’96. Cooper also runs the Fitness Club, where he teaches a variety of games including team handball. Clanton, along with men and women USATH athletes, have worked closely with Cooper, appreciating and supporting his youth efforts. Last year when USA hosted Puerto Rico at Auburn, USATH invited Cooper’s club members to be honorary players and gave them the chance to walk the players out before the match. Also, during halftime they held an exhibition game, giving the kids the opportunity to play in front of the fans. Two years ago when Cooper held a championship game after school, Clanton and about 20 USATH athletes made appearances as honorary guests where they spoke to the kids. The athletes have also come to a few club practices and helped teach the kids the rules and skills of the game. Cooper is currently working on putting teams together from the Auburn-Opelika area to compete in the Alabama State Games in Dothan, Alabama in June. He hopes to bring at least two teams of his own and two other teams from Yarbrough Elementary School and Ogletree Elementary School, where he has encouraged them to also start handball clubs. Benjamin Godbold, a fourth grader a Pick Elementary School, is looking forward to the event. The Alabama State Games is a program that began in the early 1980s as an effort to generate involvement and awareness of Olympic sports. Team handball will be included in its lineup for the first time this year. The games will be held June 10-12 and hosted by the cities of Dothan and Ozark, and counties of Dale and Houston. More information on the Alabama State Games can be found on their website, www.asffoundation.org. More information on USATH and the residency program at Auburn can be found on Team USA’s website, www.teamusa.org/usa-team-handball.